Davit proposed to fellow principal – and his then girlfriend – Vanessa onstage after their last performance together in Romeo and Juliet in 2010. They have been married since August last year. How would you describe yourselves as dancers? Davit: I’m very dedicated to my work. I love what I do, and I enjoy every second learning different ballets, working with different choreographers, and challenging myself. Vanessa: I have lots of energy and I’m very strong (inside and out!) I like to work hard and take on a role in extreme detail. Which roles are your favorites to dance together and/or separately? Davit: I like everything, actually! Classical, contemporary, modern – it’s almost like you have to make it your own, when you perform a ballet. Dancing with Vanessa is just a different type of chemistry that you can demonstrate when everything comes together naturally. Vanessa: I really enjoy dancing Onegin with Davit (as Tatiana.) Of course, I also love dancing Romeo & Juliet with him. Each role is different in its own way, depending on the character. I feel very comfortable dancing with him. On my own, I enjoy dancing the leading role in Swan Lake as well as Giselle. Vanessa Zahorian and Davit Karapetyan rehearse Cranko’s Onegin. Photo: © Erik Tomasson. Which ballets would you like to dance together one day? Davit: For me, I would love to dance so many! Nijinsky by John Neumeier, The Lady of the Camellias also by Neumeier, and MacMillan’s Manon. How would you pitch the repertory the company is bringing to London to someone who is new to ballet? Davit: I’m in Page’s Guide to Strange Places, and there are so many great movements and themes in it that you have to be careful not to miss anything. It happens so fast, and it’s very powerful. We’re taking such a diverse program that there’s something for everyone! We’re taking everything from classical, to neoclassical to contemporary. Even Possokhov’s RAkU has a story weaved into it. Vanessa: It’s very diverse! There’s a great mix of choreographers from all over the world. There’s a lot of high energy dancing by our strong dancers. We dance very fast! We’re also very technical and artistic. What is it like to work with choreographers like Helgi Tomasson, Christopher Wheeldon & Yuri Possokhov? Davit: Working with Helgi is interesting because he has his own unique style of creating movements; and with that movement you have to make it your own. Vanessa: Wheeldon has a very particular vision, and I like working with him! It’s challenging and makes me dance past my comfort zone. With Possokhov, this is the same – it’s high energy and it’s “big” dancing – we take up a lot of space, and bend and move our bodies in ways we couldn’t even imagine. Helgi’s pieces are challenging in a way where he makes you do things that nobody else has done. He knows us so well as dancers. What are you most looking forward to performing over here? Davit: I’m excited to dance Divertimento No. 15. I’m also in Tomasson’s Trio, and that’s new for me. And of course, Guide to Strange Places. All three are very different and very unique in their own ways! Vanessa: I’m looking forward to dancing Divertimento No. 15 because I love Balanchine ballets and Wheeldon’s Within the Golden Hour: it’s so therapeutic and such a joy for me to dance. My work is very intense and technical – but with that piece, I can just enjoy it and get lost in it. Possokhov’s Classical Symphony is very challenging in a way that it has all of the technique “from the books,” so to speak, but the pas de deux is so enjoyable because I can finally dance something that’s slow and lyrical, allowing me to extend that side of my dancing. Born in Shanghai, Yuan Yuan Tan has been dancing with San Francisco ballet for 17 years. She is part of the latest GAP fashion campaign, Shine, highlighting artists who have truly made their mark creatively and inspirationally. Which ballets will you be dancing here and how would you introduce them to Londoners? Yuan Yuan: The works I’ll be performing on tour include Wheeldon’s Ghosts, Liang’s Symphonic Dances and Possokhov’s RAkU. I’d tell London audiences to sit back, relax, and enjoy the program! I want the audience to figure out what the pieces mean to them and really experience each ballet. We are bringing such a diverse repertoire created especially for the London audiences. You have been critically acclaimed for your roles in Possokhov’s RakU and Neumeier’s The Little Mermaid – Can you tell us a bit about the process of preparing for highly theatrical pieces such as these? Yuan Yuan: For most theatrical pieces, the answers to the character or emotion can be found in the choreography, so I start there. In particular, these two choreographers create their works in such a way that it pulls the character out of me on stage. But I don’t try to plan too much on my interpretation because being on stage is completely different than being in the studio, and you can’t plan on magic happening, it just does. They are similar in that they are both highly dramatic works that draw out a very strong emotional reaction from the audience. 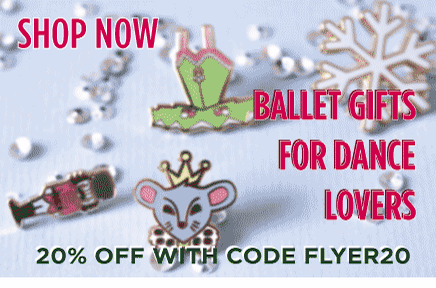 It has often been said that San Francisco Ballet dancers can perform “whatever any choreographer gives them”. How can you adapt to the various styles? Yuan Yuan: It’s true that on any given day, I can be rehearsing a neo-classical work one minute and the next, a ballet by Wayne McGregor. In order to be perform such a diverse repertory and to shift styles so quickly, you need to not only have your body trained but you also have to adopt a certain mindset. I think the company tries to maintain a attitude that everything is doable, that we can make adjustments, and that as professionals, this is part of our job. I also rely on muscle memory to switch gears to a new piece and I give myself some room to adjust to a different style of choreography. How important is it to tour and what is it like to perform in your home country (China)? Yuan Yuan: Touring is a great opportunity for the Company and we always look forward to presenting our current repertory to new audiences. As for China, I go back quite a bit to do guest performances and it’s always great to be back in the country where I’m from. Often when I go back, I perform more classical works and the Chinese audiences really respond to them. What is unique about San Francisco Ballet? 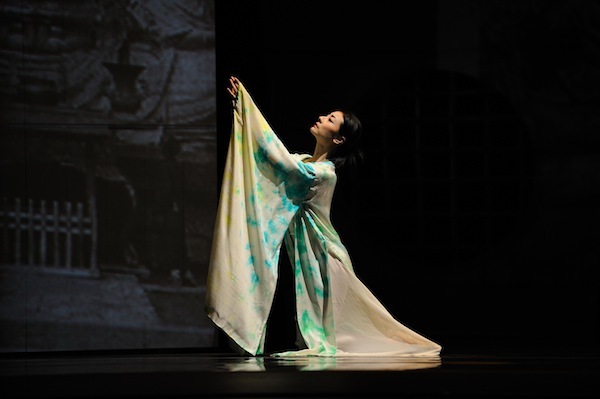 Yuan Yuan: It’s been many years (since 2004) since we performed in London, so audiences who last saw us perform there will find that dancers like myself have become more mature and experienced. We’re also bringing a completely different repertory that’s so exciting for us to dance. 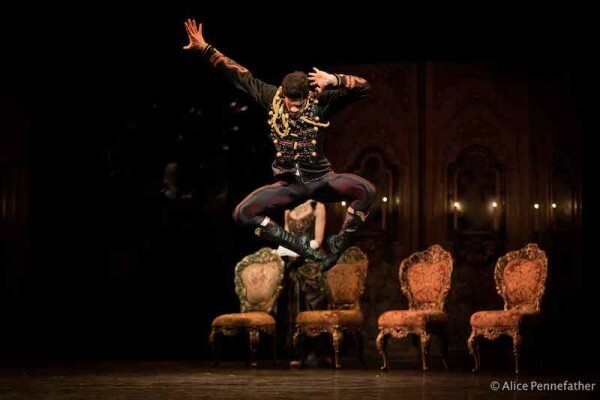 San Francisco Ballet is unique in its diverse repertory. 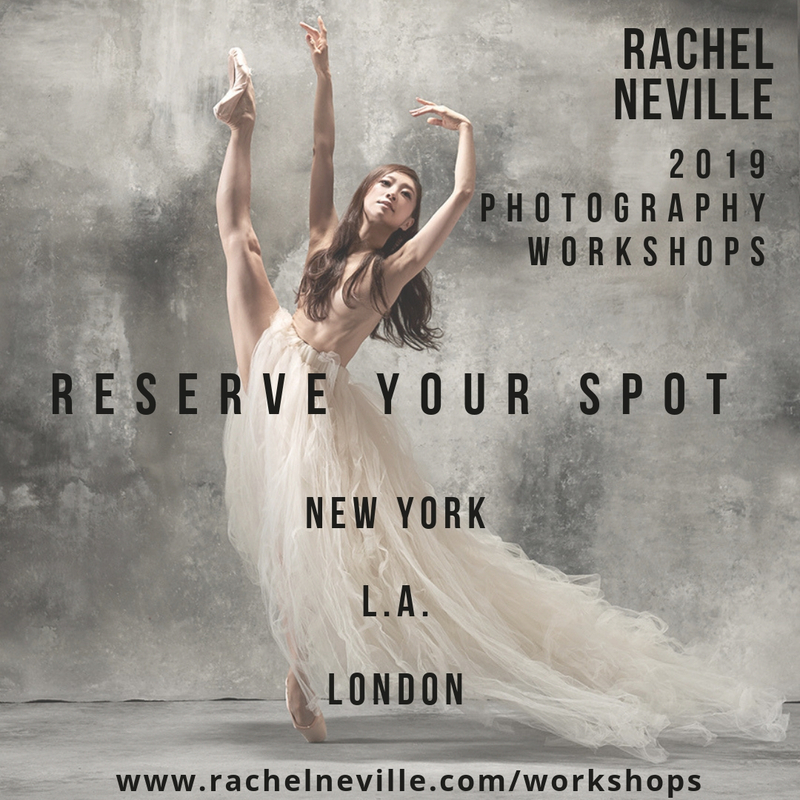 As dancers here, we’re constantly being challenged, and we’re offered a great opportunity to dance pieces by a wide variety of choreographers. San Francisco Ballet will be in London from 14 to 23 September 2012 performing three different mixed bills of contemporary works. For more information & booking visit the Sadler’s Wells website. Those photographs: it almost looks as though the costumes themselves are dancing.